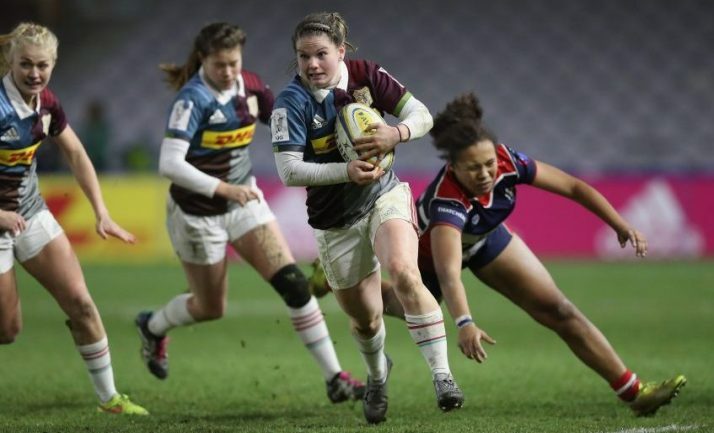 Harlequins Ladies has announced the squad to play Wasps Ladies on Saturday in the opening round of the Tyrrells Premier 15s, at Twyford Avenue, kick-off 15:00. In the front row, Jenny Vik is joined with Paula Robinson, and Chloe Edwards, while Amy Garrett and Shaunagh Brown complete the front five. The forward pack is completed with Samantha Voyle, Ashleigh Greenslade, and captain, Fiona Fletcher. Leanne Riley and Bree Hill combine at half back, with Holly Myers and Jessica Breach pairing in the centres. The back three is made up on Heather Cowell, Jessica Wooden, and Natasha Bradshaw. Speaking ahead of the fixture, co-head coach Gary Street said: “We are all hugely excited to start our season on Saturday. Like with anything new, it will take sides a few weeks to settle and find their natural flow.